When should send out wedding thank you cards? According to wedding etiquette you should send them out within 3 months after the wedding. Often you have to wait for photo’s to come back from editing with the photographer. 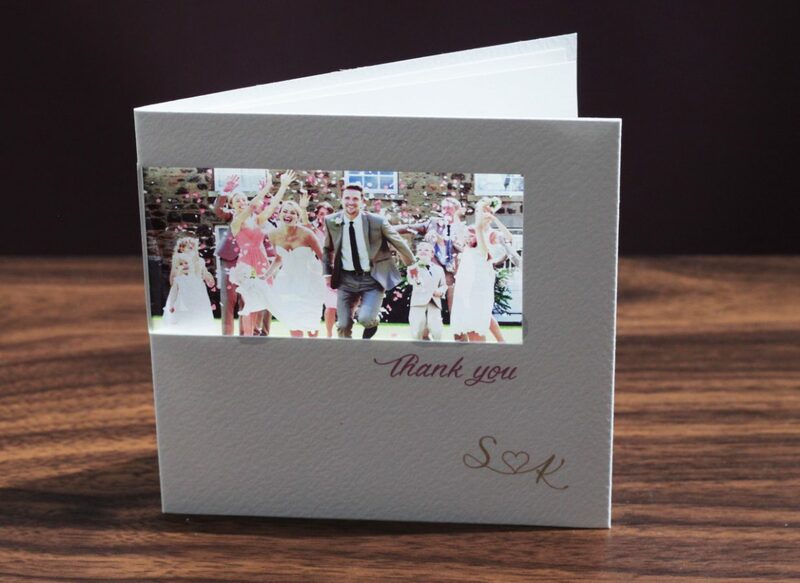 Our top tip is if you ask them to quickly send a few favourite photo’s from the day so you can use for thank you cards. They will always help you out if they are a good photographer. However, some of the best pictures are sometimes ones friends and family have taken and we often use those too. Nicola and I usually Photoshop the images to make them even better. But if its longer than 3 months please don’t worry. People always love getting our cards and no matter how long you take and usually they keep as a lovely momento. I have added just a few favourite recent photos of cards we have done this month. 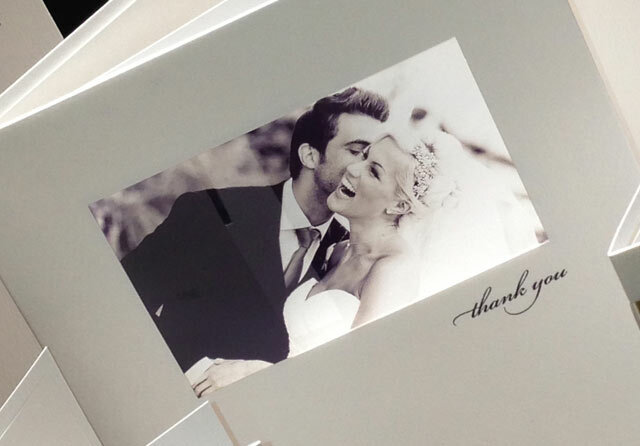 How long after my wedding should I send wedding thank you cards out? However, some of the best pictures are sometimes ones friends and family have taken and we often use those too. Nicola and I usually Photoshop the images to make them even better. But if its longer than 3 months please don’t worry. People always love getting our cards and no matter how long you take and usually keep as a lovely keepsake. 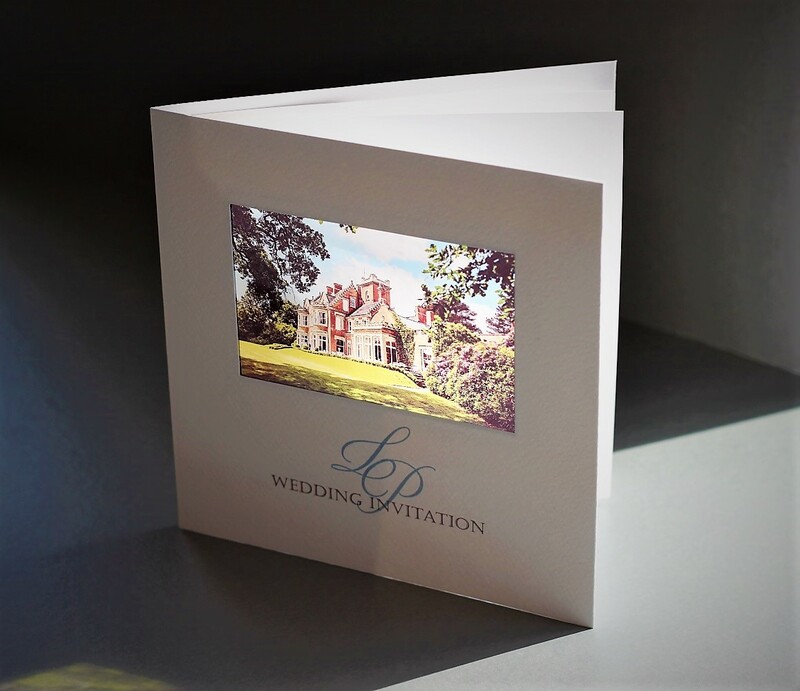 We loved these invites we made recently for Pendrell Hall. This is a gorgeous Victorian Country House with a private six-acre estate. The invites really set the scene for a fabulous wedding. Nicola and I love the fact they don’t charge corkage can be a big saving if you have friends like ours?! Is there a good way to ask for her hand in marriage?